A virulent anti-semite and “truther” Islamic group have been planning a “Million Muslim March” in the U.S. to dominate the memory and anniversary of the 9/11 attacks. So far only 57 people have signed up for the march. Only 57 supporters have signed up for the September 11 event. 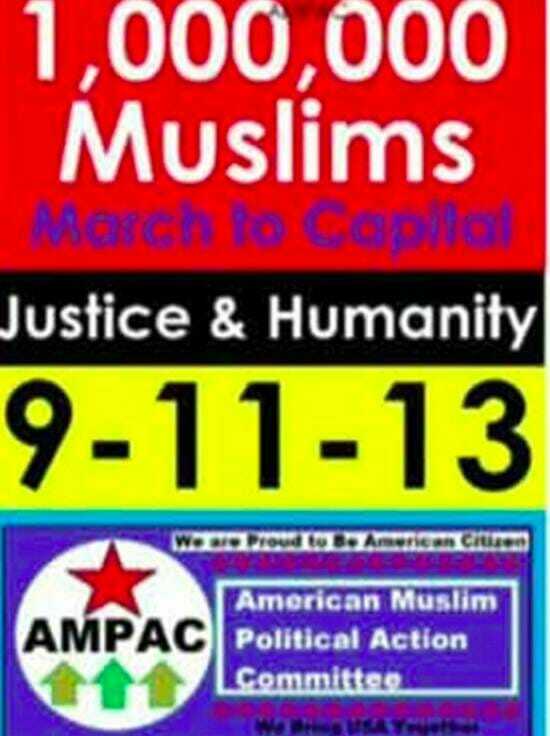 The American Muslim Political Action Committee says it wants to use the 12th anniversary of the terrorist attacks on New York and Washington to march on the National Mall and protest against what the group says is discrimination against Muslims by Americans and the U.S. government. However, the group’s plan might be a little too ambitious. AMPAC, based in Kansas City, Missouri, has just 57 supporters signed up for the September 11 event on Facebook.